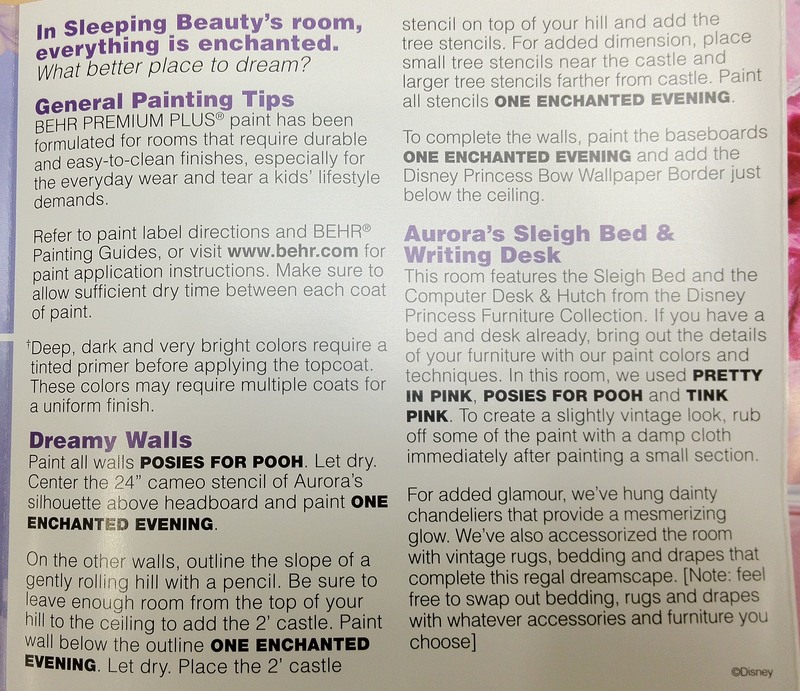 Did you know that Behr produces a line of Disney Princess interior paints? 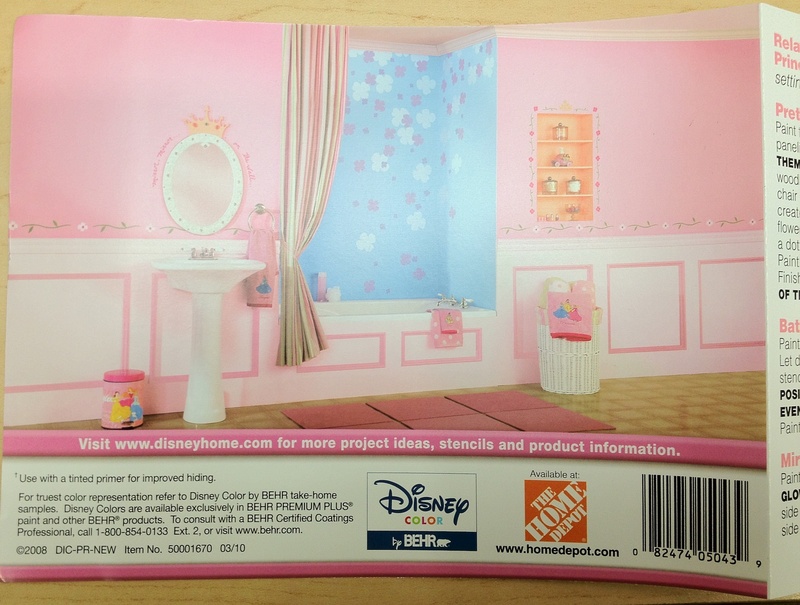 Here are some photos I took of Behr’s Disney Princess – Disney Color catalog. 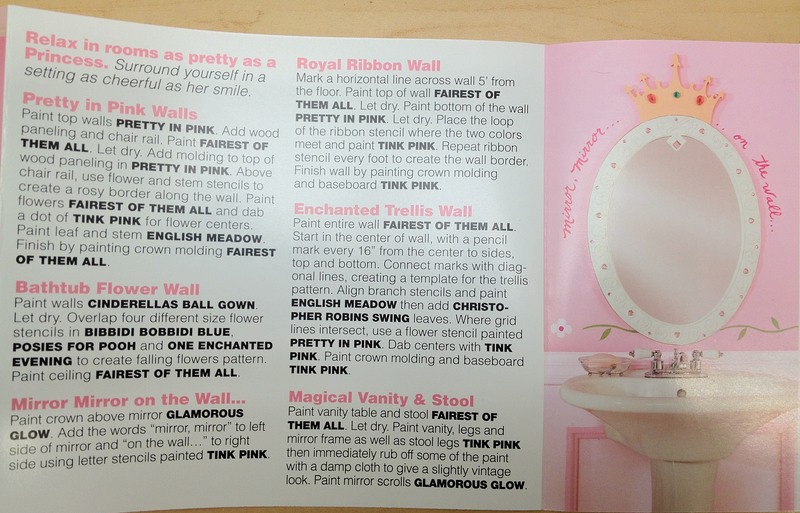 Princess bathroom: “Relax in rooms as pretty as a princess. Surround yourself in a setting as cheerful as her smile.” Note: phrases in bold are the paint color names. “In Sleeping Beauty’s room, everything is enchanted. What better place to dream?” Note: phrases in bold are paint color names. Sleeping Beauty’s Room. Features Disney Princess paints, pieces from the Disney Princess Furniture Collection, Disney Princess bedding, and many other Disney Princess products. While there seems to be a Disney Princess version of nearly everything, the idea of Disney Princess interior paints may come as a surprise. What’s going on here? My students and I recently screened the Media Education Foundation documentary No Logo, based on Naomi Klein’s book of the same name. In the video, Klein explains why consumers and critics wind up protesting certain brands. Klein explains that the insidiousness of brand marketing is at the root of most protesters’ concerns. Brands are no longer seeking popularity; instead, Klein says, they “want to be everywhere and be everything.” In so doing, a brand becomes a megabrand. The answer, of course, is yes. Megabrand Ralph Lauren makes clothes…and home goods…and, yes, house paints. Even though Ralph Lauren paint looks just like other paints that cost significantly less, the Ralph Lauren brand has enough perceived prestige to make it appealing to brand-conscious consumers. In this way, megabrands–by being everywhere and being everything–become something even bigger: they transform into lifestyle brands. Like Disney as a whole, the Disney Princess brand has been following the megabrand playbook for years. The result is that in the past decade, Disney Princess has become a lifestyle brand, completely intertwined with little girls’ identities. Disney Princess is not just about the movies and the toys; it’s about food, clothing, and home goods, too. At this point, there are Disney Princess products available for just about every aspect of life, from diapers to wedding dresses. Synergy is basically the holy grail of integrated marketing campaigns–and Disney Princess is absolutely synergistic. As a collective, it’s worth much more than the sum of its parts. Interested in more details from the Disney Princess paint line? Here’s a slide show of photos I took at my local Home Depot. As a mother with two daughters this makes me feel slightly nauseous. I can’t believe people are so stupid as to fall for this. Luckily, education and the encouragement to think independently means my daughters have grown into relatively sane adults without a penchent for dressing in pink or as princesses. Keep up the good work. Oh dear. Oh very dear. But I question who is this aimed at. Who is buying in to this particular brand? How many children sit down and look at DIY catalogues and go “this is the paint for me!”? No, it’s adults who are fuelling this one. And that worries me even more. My biggest worry to Andrew!! Moms are buying into this branding….scary. 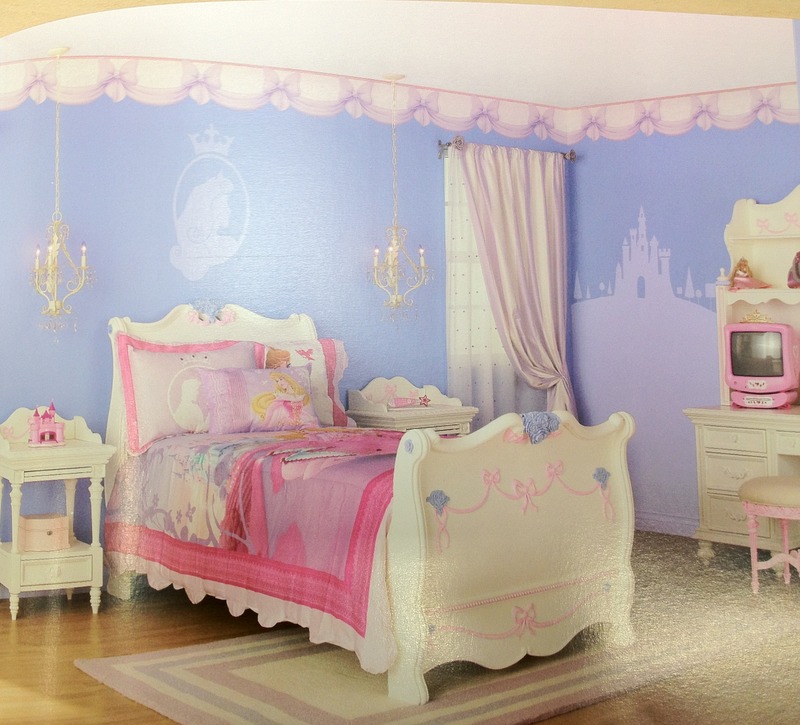 Right, it isn’t just about giving your kid fantasy bedroom decor and selling them the Disney princess aesthetic, but it’s also about adults buying into it. I’m imagining what happens when (married, cis, hetero) women start trying to convince their (cis) husbands that their bedroom (or other rooms they share) should also be Disney princess-themed…. Then the princess aesthetic becomes a site for women’s “choices” to “empower” them in a particularly gendered way. Then conventional, even stereotypical, femininity becomes something women start fighting for, or, rather, fighting for the consumption of. This isn’t exactly new, but it’s getting more frightening (pervasive?) by the minute. Yikes! Szacuje on, że z leasingu do 2012 roku do kasy miasta może wpłynąć co najmniej miliard złotych.